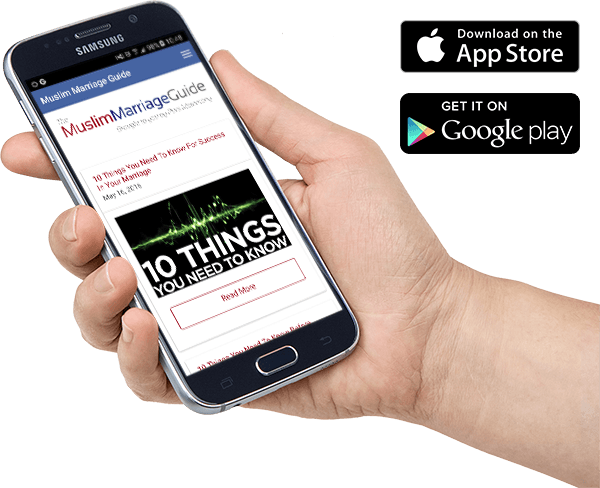 Muslim Marriage Guide » Marriage » A Successful (Muslim) Spouse! NOTE from Yusuf Estes: Marriage in Islam is considered “Half the Deen” (an important part of our way as a Muslim). Yet we are seeing failures in marriages all around us. Family fights are on the rise, women and children are being abused and many families are falling apart. More and more marriages are ending up in divorce even amongst the most religious of families, and the Muslims are no exception. So many marriages are failing these days, even amongst the most religious of families, and Muslims are no exception. This greatly saddens me and I hope by publishing this article here on our website, we might come to a better understanding and better relationship with our spouses, inshallah. Here are just a few tips and at the end I am offering a number of sources for details and follow-up. 1. Sisters & Brothers These tips are for the Believers – Male & Female. So, both of you, make Du’a to Allah to make your marriage and relationship successful – We all know, as believers, all good things are from Allah. Never forget to ask Allah for the blessing of having a successful marriage that begins in this world and continues on – into Paradise, inshallah. 2. Listen and obey – ALLAH! (and then each other) – First rule of obedience is to Allah, and then the wife to the husband (Quran chapter 4, verse 34). Obeying your husband is obligatory! But what about the husband? Doesn’t he have to obey? Sisters: Your husband is the Ameer (head) of the household. Give him his rights and respect, and Allah will give you your rights. Brothers: First rule of obedience for you is, after Allah and His messenger, who has the most rights? (Your mother, your mother, your mother and then your father). After your parents, who? Your wife (don’t pretend you didn’t know this). Men (males) are responsible for women (females) because of what Allah has given one over the other (in strength) and they (males) spend (forfemales maintenance) from their wealth. So righteous women are obedient (to Allah), guarding in (husbands) absence what Allah wants them to guard. But for those (wives) from whom you observe arrogance and refusal, admonish them; (if they persist), leave their beds; and (lastly), tap (percuss) them. But if they comply, seek no further means against them. Indeed, Allah is ever Exalted and Grand. 3. Be Pleasing To Each Other – After what pleases Allah, always seek to please your spouse, this is your key to Jennah. Brothers: Did you read the way our prophet, peace be upon him, dealt with his family? Wake Up! You must follow his way in helping with cooking, cleaning and taking care of your own clothes (he did it, you can do it too). 4. Do not get Angry – Arguments a fire in your home – put out the fire as fast as possible. Our prophet, peace be upon him, said, “Do not become angry! Do not become angry! Do not become angry!” And he told us anger is from the devil (shayton) and the shayton runs through your body like your blood when you become angry. Sisters: You already know men have a hard time admitting they are wrong. In fact, some men refuse to say it, and this is very dangerous for them, but also for you too. Be careful not to force the issues with him when he is upset. Treat him like the baby that he is imitating. Really, just take it easy and keep your cool. Allah will reward you and inshallah, Allah will guide your husband back on track. Brothers: You know you are not perfect. Come on now, admit it and get it over with. Say, “I am sorry”. You can be the one to extinguish the fire of shayton in your home with a simple ‘I’m sorry’ even if you think it is not your fault. 5. Say, “Thank you” to your spouse constantly for the nice things done nicely. Sisters: Prophet, peace be upon him, taught us; “Whoever does not thank the people, does not thank Allah“. So, just go ahead and say, “Thanks honey” and even add “Good job” or “Well done”. This is one of the most important techniques. Remember ungratefulness (opposite) is a characteristic of the people of hellfire. May Allah save all of us from that, ameen. Brothers: When was the last time you said, “Thank you honey” to your wife for cleaning house, washing clothes, ironing, bathing the children, taking them to school, teaching them things? You say, “But she does that every day” — And that is the point! She is doing this day after day – But where is the pay? Give her something to make her feel worthwhile, say it! Sisters: You can play some jokes on your husband, but don’t lie or hurt his feelings. Men look for seek women who are light-hearted and have a sense of humor. Brothers: Our Prophet (peace be upon him) told Jabir, may Allah be pleased with him, “Marry someone who makes you laugh and you make her laugh”. 7. Dress up for each other and look sharp. Islam encourages us to look and act our best in front of everyone, especially loved ones. Sisters: Wear nice jewelry and dress-up at home for your husband. From the early years, young girls adorned themselves with earrings and bracelets and wore nice dresses – as described in the Qur’an. As a wife, you should continue to use the jewelry and the nice dresses for your husband. Brothers: Do you think only sisters need to “dress-up”? What about our prophet, peace be upon him? He wore his nicest clothes, he even made sure to wash his own garments. And what about smells? You know how important fragrance is. Don’t ever let her smell your stinky sweat. She smells nice for you, so at least put on nice fragrance for her – you do it at the mosque, right? Sisters: Do you know about the characteristics of the Hoor Al-Ayn (women of paradise)? Islam describes these women with certain characteristics. They wear silk, have beautiful, dark eyes, etc. Here are some ideas: Try it, wear silk for your husband, put eye make-up for your eyes to ‘enlarge’ them, and be sweet to your husband. Where are your spouses going to get the fine silk dresses, provocative lingerie, sweet fragrance and makeup? Quran tells us (Surah 4, verse 34 – above) You are the one responsible to provide – so get with it and start providing. Sisters: When your spouse comes home, give each other the most wonderful greeting of a Muslim – “Salam alaykum wa Rahmatullah wa Barakatahu” Peace, Blessings and Mercy of Allah be to you, (and remember to smile). Brothers: You give the “salams” to everyone you see, even brothers you just met. In fact, you are careful to give anyone you just met good salams – right? But what about your wife? The mother of your children? The one who is making dua for you every day and night? Do you give the proper salams to her, when you should? Entering and leaving the house? When you enter or leave a room? 10. Smile – It costs nothing and buys everything! Who can resist a nice, big, happy smile? It even makes me smile to think about it. Sisters: Our prophet, peace be upon him, taught us; The smile in the face of our fellow Muslim is an act of charity. So you can keep peace in your family, make a sweet feeling in your home, get rewarded by Allah and maybe even a nice smile back. Think how your husband would feel if he came in and found your nice clean home, his wife looking nicely dressed and made up for him, a nice dinner prepared with care, children cleaned up and welcoming him home. It really does help, even if he doesn’t say so. Brothers: When was the last time you smiled at your wife? Can you recall the last time you brought home some flowers, chocolates, a small gift (nothing wrong with a nice of jewelry brother)? 11. Work! That’s right, you have family jobs. Get to work your house, your children, your duties to your wife and family. Sisters: Look around you. What is that stack of clothes all about? How come there is so much clutter in the kitchen? The bedroom looks like someone slept in it? (you did) The hallway looks like a storage building. Forget laundry room. No, the TV doesn’t need you – the house needs you. Brothers: What about lending a hand for the hard stuff? Why not take some time to clean up the bathroom or basement or attic? You know, the hard to reach places and the places where spiders, bugs and insects collect? What would this do to her love for you? Now imagine what if you just bust in the door, shouting orders, complaining about your hard day at work and don’t even notice how much she has to do every day. 12. Attraction – Allah Tells us in Quran, He made one male and from him the first female and made all people from them. You know how it works. Charm is the key to attraction. Kindness and understanding are the keys to charm. So, be kind to each other and use your attraction to bring your hearts together. Sisters: Use your ‘Zina’ to win the heart of your husband. Every woman has Blessings from Allah, including the “beauties” and “ornaments” that attract men. But then you already know that, don’t you? OK – So USE THEM. Your hair, your eyes, your smile (mentioned above, remember) and your clothes (and the way you wear them), all these can work together to help bring out the man you really want. You know what he likes and get all “fuzzy” in the head. Go straight for the heart. Brothers: She did not marry a couch potatoe. She is looking for that cute guy you were when she accepted the marriage proposal. Where is that guy? The nice clothes, shiny shoes, clean smell, soft words, you know – (the way you were). 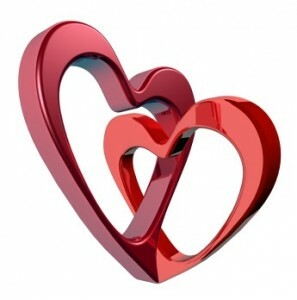 OK – Next we see eight tips about what weakens the marriage and eight tips to strengthen the marriage. 1) Misbehaving – saying bad or hateful things, making bad jokes and insulting each other. 2) Ignore – not replying back to the “salams” or giving each other the good ear to listen and share. 3) Lying – Allah forbids the believers to lie. There is no room in Islam for liars, and may Allah save us from this evil, ameen. 4) Breaking Promises – Keeping a trust is also an important characteristic of a believer. 5) Avoiding Contact – You hug the brothers at the mosque, but what about a “little hug” with your wife? Come on, you can do it. 7) Too Busy – Take time for each other. You have rights on each other. Give everyone their rights and you will be given your rights. 8) Leaving the worship – Allah will never be pleased with someone who leaves His guidance and does not worship Him. This will cause Muslim families serious problems and even to split up, faster than anything. 1) Good Attitude – A Muslim must always have a positive attitude toward life. We say, “Al Hamdulillah” (Praise be to Allah) for whatever He gives us (or doesn’t give us). 2) Help – Our prophet, peace be upon him, stressed the importance of men helping their wives and Allah tells us the importance of women being mates and helpers to their husbands. This is a real “win-win” situation, if we just follow it. 3) Trust – Muslims, men and women are ordered to be trustworthy and follow the example of our prophet, peace be upon him, as the “Trustworthy”. 4) Respect – You get respect, when you give respect. This is mandatory for all Muslims toward all people, how much more toward the spouse? 5) Joy – Our prophet, peace be upon him, used to entertain his wife, Ayesha and she used to play and race with him. She said, “I used to out-run him, but then when I got heavy he used to outrun me”. He told us to play with our wives. 6) Forgiveness – Clearly, this is one of the most important aspects of Islam. Whoever does not forgive – will not be forgiven. This comes from Allah, Himself. We must learn to forgive each other’s mistakes so we won’t it against us. 7) Time – Spend time, alone – together. Go for walks. Take a bus ride. Visit a friend or someone who is ill (you get big rewards for that). Fast together on Mondays & Thursdays if you can. Make hajj – this is a great way to get a “new start” on life. Trust me. 8) Worship – connection with Allah through ritual of prayer, petition and peace while moving together in the salat is something a non-Muslim can never really appreciate. Our prophet, peace be upon him, used to lead his wife in salat, even though he lived connected to the mosque. He told us not to make our homes like grave yards. We should offer some of our sunnah prayers at home. A sister gains the most rewards at home, in her room, behind a screen. And if you fear fighting between the two (married couple), appoint an arbitrator from his family and an arbitrator from her family. If they both desire reconciliation, Allah will cause it between them. Indeed, Allah is ever Knowing and Acquainted [with all things]. The meaning here is most clear to me – DON’T BREAK UP – JUST WAKE UP! & GET SOME HELP! But don’t do it. Follow what Allah tells us and consider what our prophet, peace be upon him, showed us with his life. Did he give up on the relationship with his wife? (no); Did he divorce his wife? (no); Did he scream at his wife? (no); Did he ever hit his wife? (no); Did he suspect or accuse his wife of something bad, when people came up with bad stories against her? (no). 7 Comments to A Successful (Muslim) Spouse! MashAllah, what a lovely article 🙂 Jazak Allah khair! THIS IS REALLY A GOOD ARTICLE,HOPE EVERYONE WILL FOLLOW THIS……. Blessed be the person who came up with this message that can save many marriages. This article is excellent not only emphasizing on family unity but also religion aspects that can contribute harmony in our daily life. God bless U with more of knowledge to publish more of this kind of articles that can save many souls in time to come. Amen. Jazakh Allahu khairan sheik Yusuf Estes for this wonderful article,I have saved on my mobile months ago when I was unmarried,now that am married it has become my daily diary.